Results of a new survey, released Wednesday, show that consumers are becoming more sound savvy. DTS Inc. and Nielsen Entertainment Research surveyed 2,000 adults and found that 75 percent of home theater owners have true 5.1-channel or greater surround sound. Seventy-three percent of home theater owners and 76 percent of surround sound owners said upgraded sound is the most important extra feature on DVDs. More respondents (82 percent) said they choose a sound format at the beginning of a movie than those in the previous year (55 percent). "Today, even as low resolution music formats have become popular among people on-the-go, millions of consumers are discovering the immersive entertainment experience offered by true surround sound and are purchasing high resolution home theater systems," Jon Kirchner, president and CEO of DTS, said in a prepared statement. Home theater owners buy DVD movies at a rate of 20 percent more than those who don't own the systems, according to the survey. Nearly 60 percent of home theater owners and 63 percent of surround sound owners said they are aware of DTS, a digital entertainment technology company, and many agreed that the brand reflects superior audio technology and quality. DISCS: Eight DualDiscs, which is like eight CDs and eight DVDs. TRACKS: 205, counting all the different mixes and videos. 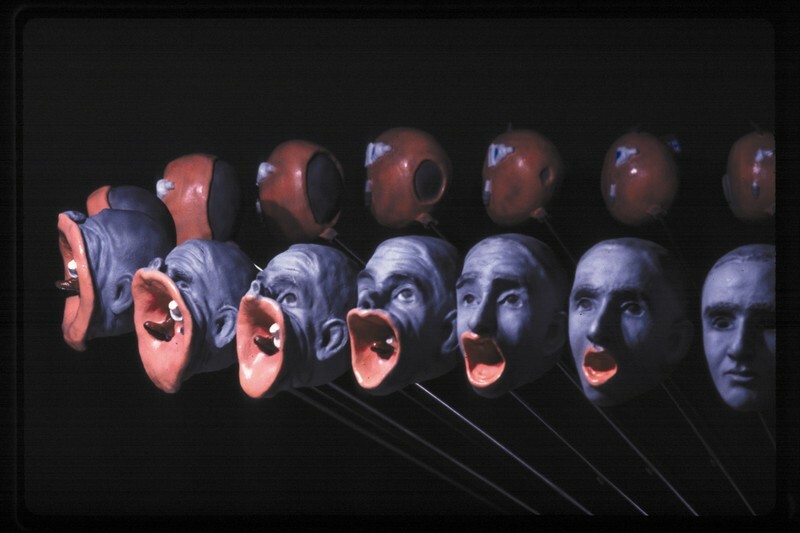 DETAILS: It's what Talking Heads fans have been waiting for -- all eight of the seminal New York new wavers' studio albums, properly remastered for CD. But on the aptly named eight-disc box set Brick, remastering is just the start. Everything has been refurbished, expanded, supplemented, revamped and upgraded with enough goodies to keep fans occupied for hours. No fooling; to get the full Brick experience, you're gonna need a CD player, a DVD player, a home theatre and a couple of days. Every CD comes in DualDisc format. On one side, you get the original album, augmented with a handful of high-quality B-sides, outtakes, working tracks and alternate versions (an acoustic version of Psycho Killer with tons o' cello? Killer indeed). On the other side you get the same album remixed in stunning 5.1 Surround Sound by guitarist Jerry Harrison, who recasts the cuts as widescreen cinematic epics, with stabbing guitars that ping-pong from corner to corner and keyboards that swirl around you. From the edgy early discs like Talking Heads 77 to overlooked later works like True Stories and Naked, Harrison's expansive mixes make you hear the Heads with new ears. (Best of the batch: 1983's African-influenced, percussion-laced, Eno-produced funk freakout Remain in Light, which drops you smack into the middle of a psychedelic drum circle.) Every disc also comes with a couple of video clips, including early live performances, German TV footage and latter-day music vids. Toss in booklets with full lyrics, liner notes, plenty of pictures, blurbs by Harrison on the 5.1 mixes, art-print cards -- then put all the discs in white-backed jewel cases that fit snugly inside a white moulded-plastic box covered in raised song titles -- and you've got a box that's exhaustive, entertaining and extremely arty. The kind of box that comes along ... well, once in a band's lifetime. QUIBBLES: 1) The CDs have cover art but no song titles on their all-white backs, so you have to pull out the booklets again and again, which is a pain. 2) Exhaustive as Brick is, it's missing a few no-brainers. Like the video for Once in a Lifetime. 3) Not all the CD bonus tracks are remixed for 5.1. What gives, Jer? 4) We got two copies of one art card -- which means there's at least one other buyer out there with the same complaint. DAMAGE: About $200. But if that's too much, be patient; individual discs are due in a few months. I cannot believe that the record industry and in particular Unversal Records could be so short sighted when it comes to SACD technology. If they were smart, they would release all their CD's in multichannel hybrid SACD. So the cost is a little higher. The technology with SACD encryption would restrict pirating and people would start upgrading their sound equipment to become SACD capable. They just looked at the bottom line and choked. Let's hope it is not too late to do an about face. Personally, I have a Yamaha S1500 universal player and have only bought almost all SACD for the past 2 years. About 100 titles so far to be exact. The pickings are now becoming slim. I feel your pain. I invested some 10Grrr into my home theatre and have purchased dozens of SACDs, DVD-Audio discs and DTS discs since. I've even purchased marginal titles that I would've balked on previously. Why....because I enjoy the sensation and the nuances of surround sound. I popped into Canada's 2 flagship stores yesterday to dig through all the old released audiophile titles. HMV has been so removed from the whole process that their selection is little more than 2 dozen titles. Sam the Record Man is marginally better with some space devoted to DualDisc so at least the consumer can fan through the latest and greatest(?) of that business. I was so discouraged that I took a second look at the relatively low-fi CAN reissues that are quite frankly so laughable with their pretension that its no wonder punk music was born. Speaking of which....where is the multi-channel version of "American Idiot"? The title has sold some 3 million copies now and should've been considered for DualDisc release. 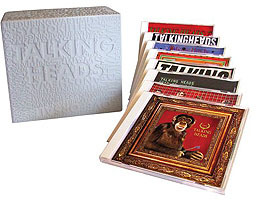 I had to order the Talking Heads' "Brick" from an ebay seller in Illinois because I can't buy it off the rack in Canada. In other bad news...The Doors's DualDisc catalogue reissue has been delayed until next year. Roger Water's "Ca Ira" was released in Canada as an enhanced 2 channel cd instead of a multi-channel SACD. And what happened to the "imminent" Genesis AND Pink Floyd SACD reissues?! If you're looking for some titles that aren't on your radar I may be able to recommend a thing or 2. Is your equipment DVD-Audio capable as well? If it isn't; I would suggest getting a decent DVD or CD\DVD compatible component. There's quite a few decent DVD-Audio discs around as well. Otherwise; I recommend both www.acousticsounds.com and www.towerrecords.com for their selection of SACD and DualDisc. DualDisc is the flavour of the month that oftentimes incorporates either a DTS or DVD-Audio multi-channel mix of the album. Be wary of the Dolby Digital ones which reproduce at the same compression and fidelity as most DVD-Music releases. Speaking of which..labels do pay attention to RIAA consumer data which indicates a rapidly growing DVD-Music trend. Hopefully; the labels will look at higher quality mixes. Check out Peter Gabriel's "Play" for example...the mix is a hell of a lot better than all of his catalogue SACD reissues. Anyways; the labels seem to have bailed on these audiophile fomats before giving them a fair shake. The retailers themselves once dedicated entire sections to these formats....phased them out....moved the sections around....and now for the most part have absorbed their old stock into their regular bins. If we all scream together....maybe we'll be heard at some level. If we keep inviting our pals over and dazzle them with these formats maybe we can keep the flame flickering. But it's up to us to prove the doomsayers wrong. And we can. This is an invitation to join "The A5"—The American Association for the Advancement of the Audio Arts. We're setting up as an LLC run by a board of directors. On our own, as individual companies, we can do little to improve public awareness of high-end audio. Working together—manufacturers, distributors, reps, retailers, reviewers—we can turn the public on to one of life's great pleasures (and our passion): great music combined with stunning sound. • People are still buying music and listening. Look at the iPod phenomenon and the growth of satellite radio. These listeners are excited about music in their lives. It's up to us to turn more of them on to high-quality music reproduction. It's less of a hard sell than it looks. People are already sold on music! To put it another way, Apple Computer, XM, Sirius, and the like are creating potential customers . . . for us! • Despite a lack of growth in high-end sales, our industry is more innovative than ever before. Take any product category, any price point in specialty audio: the performance of products today is at an all-time high. The Golden Age of Hi-Fi? This is it! • What will the A5 do besides collect your dues? • Set up a website that directs visitors to the messages, products, and services of our members. • Set up a user group for our members so we can communicate more freely and share ideas. • Create the conditions for freer communication among all of us . . . and this includes the end user. • Forget unproductive controversies, like the objectivist versus the subjectivist camps. There's room for both. And the truth is, one does not have to exclude the other. • Make the buying public aware of the benefits of value-added service. We can prevent high-end from turning into a commodity. Look at the job that luxury car makers do, or Swiss watchmakers! • Focus our message and get it to the public through whatever means we can muster and ways we can think of. • Place ads for our industry in upscale magazines like Forbes, Wine Spectator, and Architectural Digest, to name just a few. We will advertise in new venues outside of our industry. • Run a weekly program on high-end audio for cable television, PBS, or a program for public radio. • Demonstrations at concert halls, museums, music schools. • Regional shows or events at music-educator societies, Mercedes and BMW clubs, jazz or folk festivals. • Create a public relations campaign for our industry as a whole—including articles that we could send to newspapers looking for free content. If we are not blatantly trying to promote certain brands (not the goal), this will work! • Training programs for salespeople. 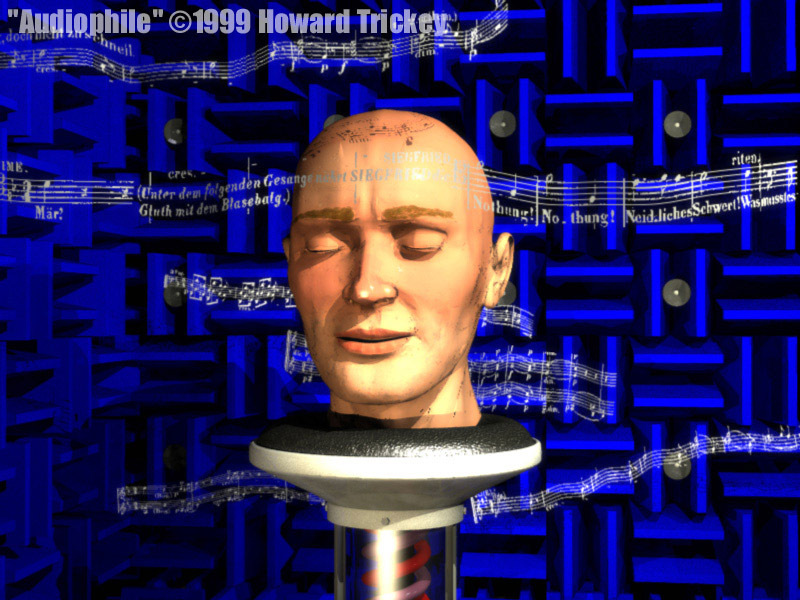 How to do a good two-channel demo. How to demo both home theater and great music, creating more excitement for both! Jackson Browne's 1978 album "Running on Empty" will be recharged Nov. 15 in an expanded and remastered CD/DVD edition via Rhino. The original 10-track release is augmented with the previously unreleased song "Cocaine Again" and the instrumental overture piece "Edwardsville Room 124," which draws bits from several album songs. 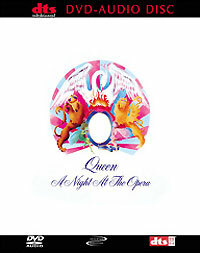 The DVD side boasts the album mixed in DVD-Audio 5.1 Surround Sound, produced by Browne from the original multi-track master recordings. An image gallery of 300 Joel Bernstein photographs from the era is also included, as are liner notes essays from director Cameron Crowe and journalist Anthony DeCurtis. "Running on Empty" was influenced by life on the road and was alternately recorded at shows or on tour buses and hotel rooms. It spawned such pop hits as the title track (No. 11) and ""The Load-Out"/Stay" (No. 20) and has been certified seven times platinum by the Recording Industry Association of America for U.S. shipments of seven million copies. As previously reported, Browne will on Oct. 11 release "Jackson Browne -- Solo Acoustic, Volume 1" on his own label, Inside Recordings. The set culls live material from several recent tours. WASHINGTON -- Music shipments of all physical formats to retail and other outlets declined by 5.8 percent in the first half of 2005, while a growing legal digital marketplace helped to offset the overall decline, according to data released today by the Recording Industry Association of America (RIAA). While the area of legal digital downloads showed some progress, the music industry continues to be impacted by illegal online downloading, rampant unauthorized CD burning and traditional counterfeiting of physical products. These various forms of piracy are the primary culprits for a 6.5 percent decline in CD shipments from record companies to various distribution channels. Even as the overall market declined, legal digital sales of singles grew 154 percent in the first six months of 2005, compared to January – June of 2004. In the first half of 2005, 148.7 million digital singles were downloaded, compared to 58.6 million in the first half of 2004; 5.1 million full-length albums were downloaded from legal online music sites in 2005, compared to 1.5 million full-length albums downloaded in the first half of 2004. The total estimated retail value of digital singles and albums sold in the first half of 2005 was $198 million, compared with $73 million for the first half of 2004 (estimate derived using current prices of $0.99 and $9.99, respectively). 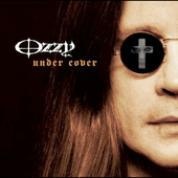 Newly recorded covers of John Lennon's "Woman," Joe Walsh's "Rocky Mountain Way" and the Moody Blues' "Go Now" will be found on the Ozzy Osbourne collection "Under Cover," due Nov. 1 as a Dualdisc via Epic. The remaining 10 cuts were released earlier this year on the "Under Covers" disc of the Ozzy boxed set "Prince of Darkness." Among them are Mountain's "Mississippi Queen," which features that band's guitarist, Leslie West, King Crimson's "21st Century Schizoid Man," the Jeff Beck Group's "Hi Ho Silver Lining," Mott The Hoople's "All the Young Dudes" and the Rolling Stones' "Sympathy for the Devil." On the DVD side, fans will be treated to the featurette "Dinner With Ozzy and Friends," which finds him regaling his son Jack and Motorhead frontman Lemmy Kilmister with tales of rock'n'roll excess. A video for Ozzy's cover of the Beatles' "In My Life" is also included.